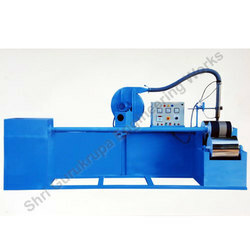 Pioneers in the industry, we offer tarpaulin welding machine from India. Heating System Forced heated air through nozzles at the nips. With the active support of our team of experts, we are engaged in offering a huge gamut of Tarpaulin Welding Machine. Utilities to be provided by Client: 4 Sq. mm 4 Core copper cable for main supply to the machines with the proper earthling.